"Night Fury" - This blurple jelly base is totally filled with small silver glitters as well as two sizes of rainbow iridescent glitters. Formula was a teensy bit thick, but nothing to worry about. These photos show three coats plus top coat! Eeee! How to Train Your Dragon just might be my favorite animated movie ever. 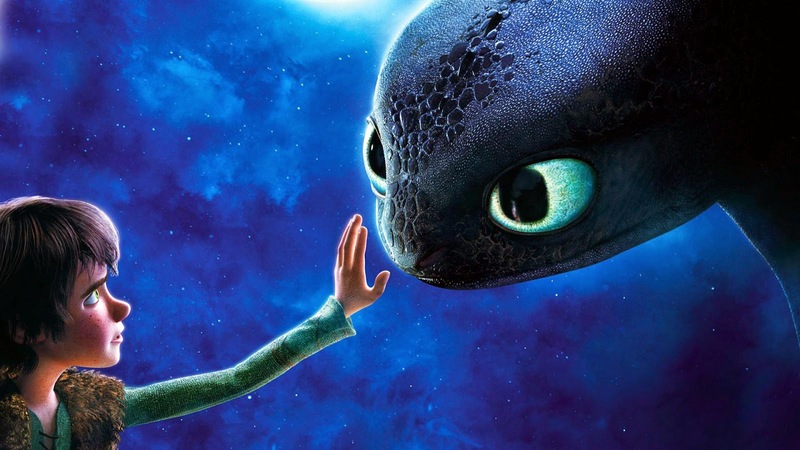 Toothless (for those of you who haven't seen it, Toothless is a "night fury" dragon) is pretty much the cutest and I want one. This polish totally captures the sparkle of his scales! My thoughts? I'm a huge fan of iridescent glitters and, especially in this case, I think they do an awesome job of representing the namesake of this polish. This is one of my favorite movies, ever ever ever, and the polish is gorgeous. So I need it, obviously. Gahd, I just need to set up a budget just for Wing Dust polishes.